Get creative for the Population, Evolutionary, and Quantitative Genetics Conference. Show your creative side, and inspire the population, evolutionary, and quantitative genetics community by entering the #PEQG18 T-shirt design contest! 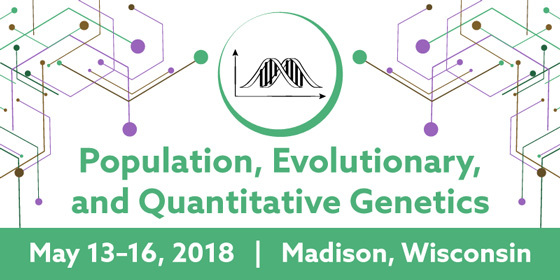 The winning entry will be used on official conference T-shirts available for sale at the Population, Evolutionary, and Quantitative Genetics Conference, to be held May 13–16, 2018 in Madison, Wisconsin. The winner will receive the conference T-shirt and a one-year GSA membership at the appropriate membership level. Yes, you are eligible to enter even if you aren’t able to attend #PEQG18 this time. You may submit more than one design. We’re looking for fun and creative ideas, but we don’t have a fixed idea of what the t-shirt should represent. Surprise us!